The SC-6 Universal Gunlock is the product of years of constantly searching for better ways to secure any firearm in any emergency response vehicle. Thanks to its patented design, the SC-6 can secure nearly any long gun in the same gun rack. A thick, stainless steel arm ratchets down to a spot you pick on the weapon and holds it in a strongbox of stainless steel plates and rivets. Your firearm, though, will only touch soft rubber. 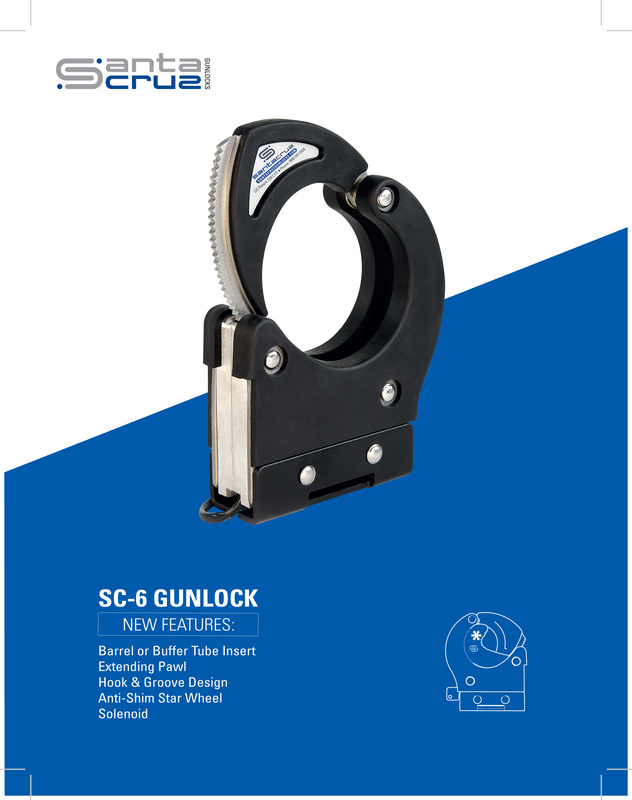 This adjustability in locking diameter, combined with the SC-6’s ability to slide and lock into any position along the 18″ to 36″ mounting bar, allows officers to quickly configure their gun racks to precisely fit the weapon they are looking to secure. 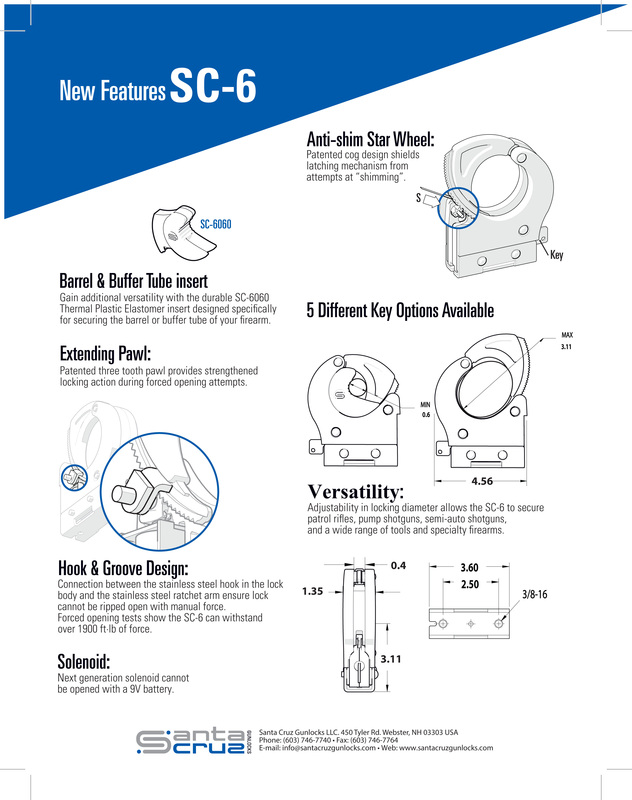 The SC-6 Universal Gunlock comes with a short (3.75″) crossbar with two 3/8″ holes and 5/16-18″ threads for simple mounting on most flat surfaces. Check out our internal set screw design. 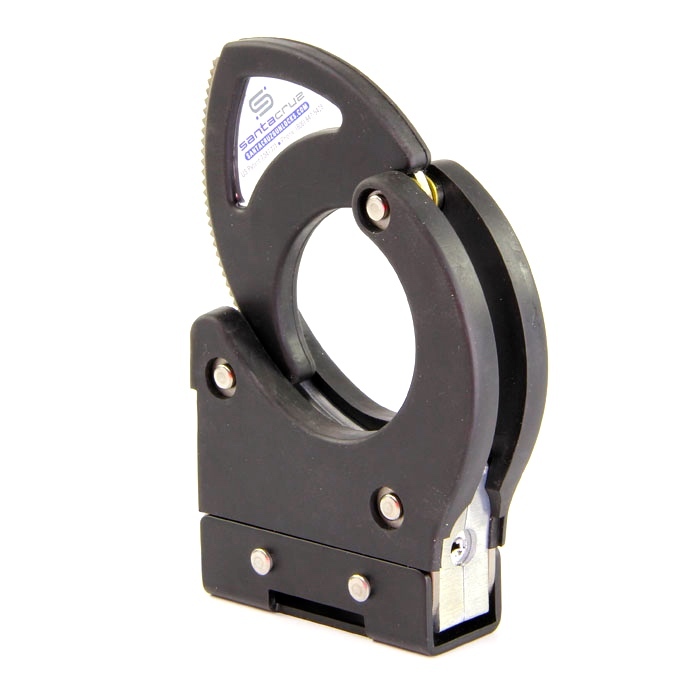 You can mount this lock most anywhere using a 1.50″ x 0.187″ (3/16) steel bar. Lock activation is either electric or manual. An electric pushbutton and 2 keys are shipped with the lock. The two ways to open the lock (electric or manual) are working independently from each other.